OK, yes, it was a photo shoot (the grey backdrop was probably a dead giveaway). 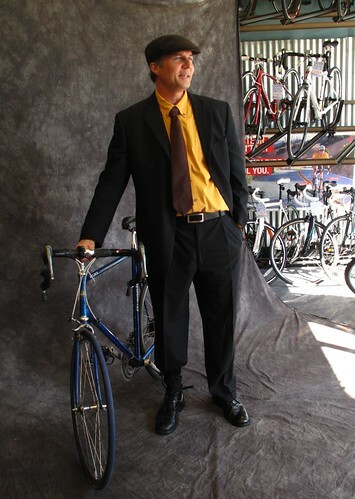 It was organized by the Bay Area Bicycle Coalition to promote Bike To Work Day, featuring hotties from all over the Bay Area, like this lad. 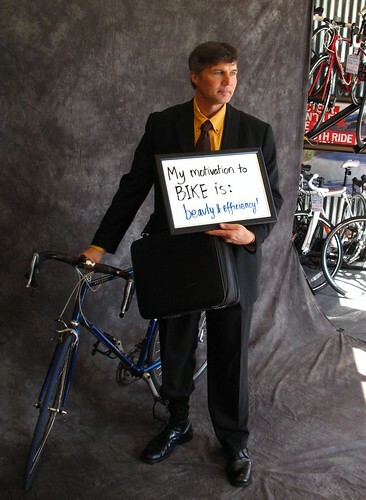 The focus was on people's motivation to bike. Beauty - check! Efficiency - check! I like the focus of these pictures. Biking for your commute can put a whole new perspective on living green. Stay safe gentlemen.